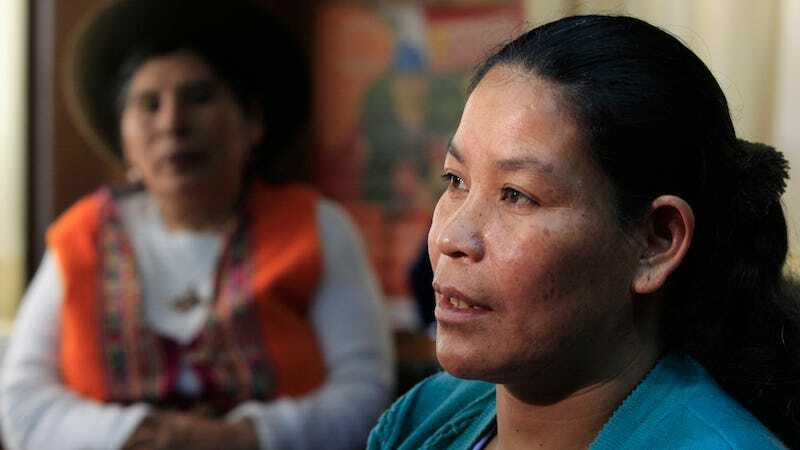 On Friday, the Peruvian government announced that attention to the victims of forced sterilization was now a matter of national interest. With the declaration comes the creation of a National Registry of Forced Sterilization Victims as a way to facilitate their care. “Never again in Peru can we implement a policy of fighting poverty by violating the reproductive rights of poor families,” President Ollanta Humala reportedly said on national television. According to Peru This Week, the Ministry of Justice said it will create legal framework to provide free legal aid and psychological and medical care for the victims. This follows the May announcement that the country would reopen its criminal investigation into the program under Luis Antonio Landa Burgos, Peru’s Superior Prosecutor. Around 350,000 women and 25,000 men were involuntarily sterilized in the 1990s as part of a so-called attempt at eliminating poverty in the nation. The program, under then-president Alberto Fujimori, mainly targeted indigenous women from poor farming areas. Fujimori, who has been in prison since 2007 for human rights violations, maintains that it was a strictly voluntary program. But soon after arriving she was anesthetized without warning. When she woke up, she knew something was wrong. Her child was stillborn several weeks later. Aurelia Paccohuanca, head of the Association of Women Affected by Forced Sterilization, speaks during an interview. Image via Martin Mejia/AP.